← Farming in 1927 in the Province of Ontario, and no doubt, elsewhere in North America. Here in St. Louis, our local chapter of AARP has been a corporate sponsor of the St. Louis Senior Olympics for years. Two years ago they offered any AARP member the opportunity to join “Team AARP” and they would pay the entry fee for the St. Louis Senior Olympics. Over a dozen members of the St. Louis Shuffleboard Club took advantage of this in 2016 and again in 2017. 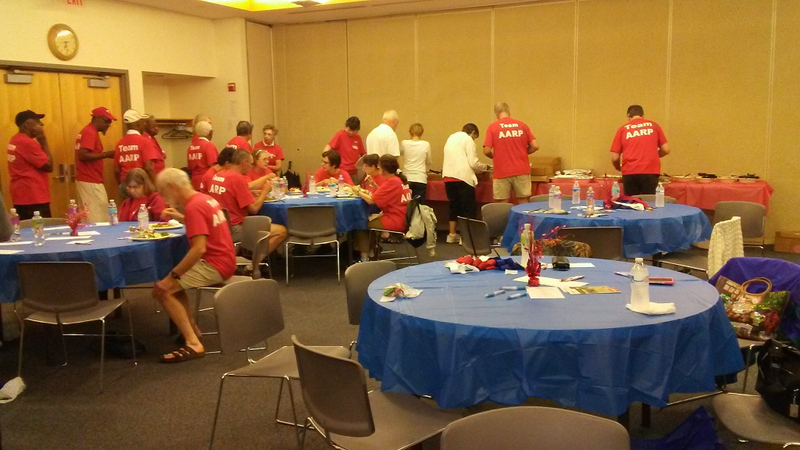 As part of the “Team AARP” activities AARP had an evening where they gave out “goody bags” which included Team AARP T-shirts, and provided sandwiches from Subway. All they asked of us was that we wear the Team AARP shirts when we competed at the St. Louis Senior Olympics. Normally, the members of the St. Louis Shuffleboard Club would wear our own gold T-shirts with our club name on them, but we were happy to wear the Team AARP shirts since AARP paid our entry fees. Though we’re a relatively new club, we accorded ourselves well at the Senior Olympics in St. Louis. 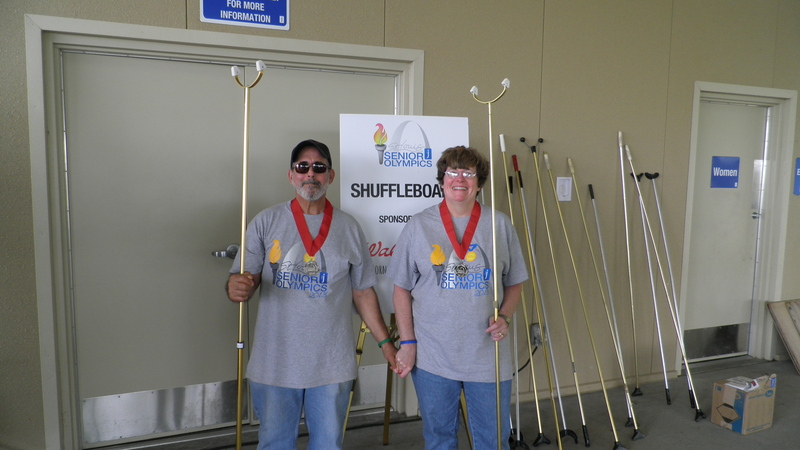 Our members won most of the medals in shuffleboard both in the singles and team events, as well as other events. On July 27th, we attend the “Team AARP” post games banquet. AARP provided a catered dinner, and after dinner showed us a video made from pictures taken at the St. Louis Senior Olympics. On our way out we were each given a thumb drive with a copy of the video on it. We were told AARP would be a sponsor again for the 2018 St. Louis Senior Olympics and we’re all looking forward to being part of Team AARP again next year. There was also mention of the possibility of AARP becoming a corporate sponsor at next years National Senior Games which will take place in Albuquerque, New Mexico. I can’t think of a better way to meet new people and make new friends than during a game of shuffleboard. Stan McCormack. 2017 07 31.